The “smart city” has emerged as the latest urban buzzword in discussions of the elementary functions of the modern city. Attracting corporate power, money and private tech companies (e.g., Cisco, Google, IBM, Tesla), the smart city has become a popular brand because it is presented primarily as an evidence-based, objective and value-neutral concept. 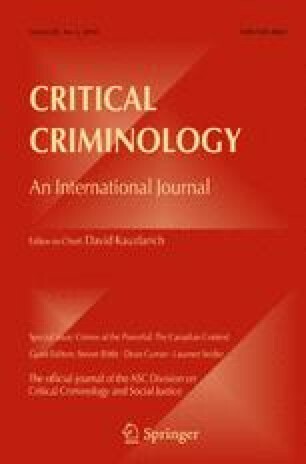 In this article, we will question precisely this “non-ideology” ideology of the smart city and argue that the phenomenon of the smart city demands a critical criminological response, as much as a philosophical and sociological one. First, we argue that instruments which were classified traditionally as tools of surveillance and control are now rebranded as essential components of the smart city package in order to increase the cleanliness and order of the city. Second, we consider how the smart city oscillates within a social imaginary populated by feelings of fear and fantasy. We conclude by suggesting that the smart city not only reproduces the social order, but also produces new social categories out of new forms of smart governance of crime and disorder. Diachuk, M. (2018). Data-driven smart cities: From big data to security. DZone. September 18. https://dzone.com/articles/data-driven-smart-cities-from-big-data-to-security. Accessed 28 March 2019. Naafs, S. (2018). ‘Living laboratories’: the Dutch cities amassing data on oblivious residences. The Guardian. March 1. https://www.theguardian.com/cities/2018/mar/01/smart-cities-data-privacy-eindhoven-utrecht. Accessed 28 March 2019. Rometty, G. (2013). Leadership in the era of smart. Speech delivered at Think Forum Japan. https://www.youtube.com/watch?v=1LfISCMahlU. Accessed 15 March 2019. Sadowski, J., & Pasquale, F. (2015). The spectrum of control: A social theory of the smart city. http://firstmonday.org/ojs/index.php/fm/article/view/5903/4660. Accessed 15 March 2019.